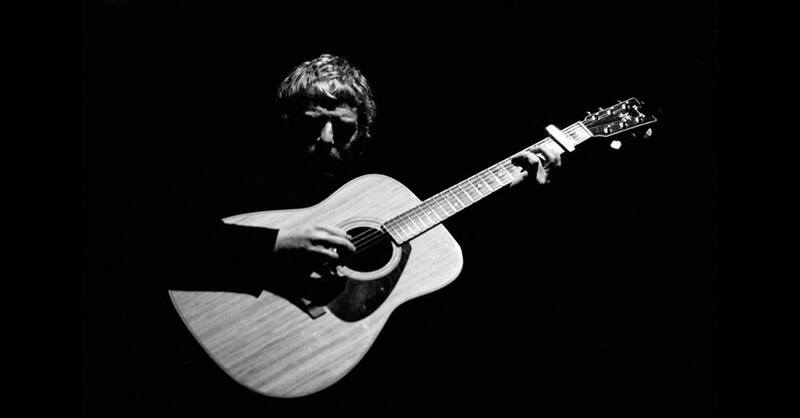 I Am Kloot’s songwriter and frontman, John Bramwell, is back in Leicester for a Friday night date at The Soundhouse. John’s live shows are all about connecting with his audience and punters can expect a special, intimate performance. Grab tickets to see the Mercury Prize nominated songwriter for £15. TICKETS. The art-rock quintet from New York will be in Leicester during their UK tour. 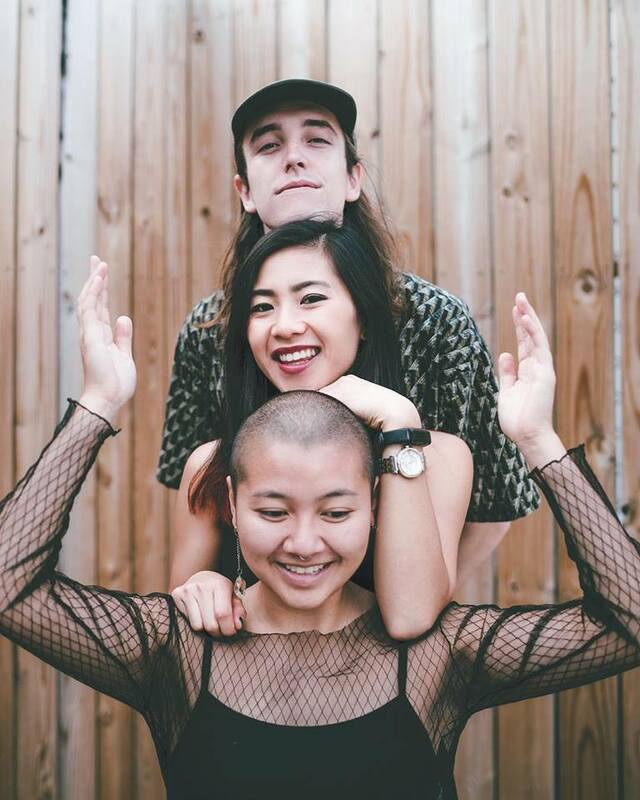 Expect tongue-in-cheek and politically motivated lyrics alongside their razor sharp guitars. They proved to be a huge hit at last year’s Great Escape Festival and have been dubbed “New York’s brightest new band“. TICKETS. It perhaps speaks for itself that No Vacation have had over a whopping 19 million Spotify plays on their single Yam Yam & millions more across their catalogue of dream pop/surf rock style releases. Starting life a as a college dorm band in San Francisco they’re now based in Brooklyn and making big waves in the industry with their sun bleached indie pop. TICKETS. 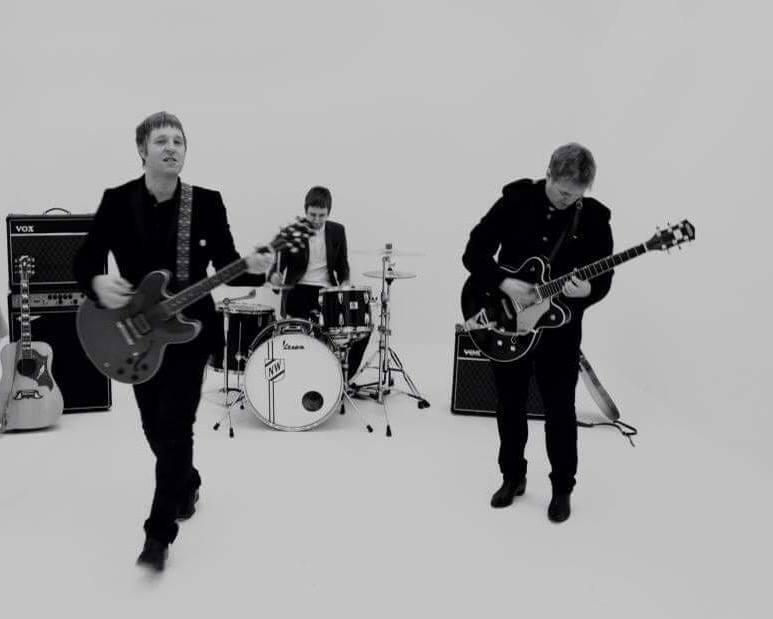 The band have become known for innovative, left-leaning pop: a raw fusion of collective influences, which range from the likes of Siouxsie Sioux to Blondie and Jamie T. The band formed whilst together at college before they moved to their adoptive hometown of Sheffield, where they’ve been refining their intense, life-affirming sound. 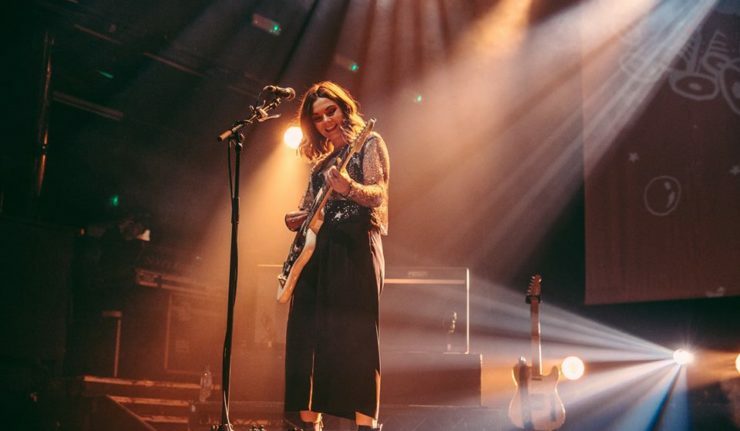 They’ve been on tour with the likes of Tom Grennan, Yonaka and Reverend and The Makers, and things only look set to get bigger. TICKETS. The weekly open mic happens at The Soundhouse every Tuesday night from 7.30pm. The night is hosted by Rhett Barrow and acts are encouraged to arrive early if hoping to get a slot. Each week there’ll be a featured artist play from 9.30 – 10pm, so if you’re wanting to play a longer set then get your name down. Discover some brilliant new acts. The Soundhouse is on Southampton Street in the Cultural Quarter. 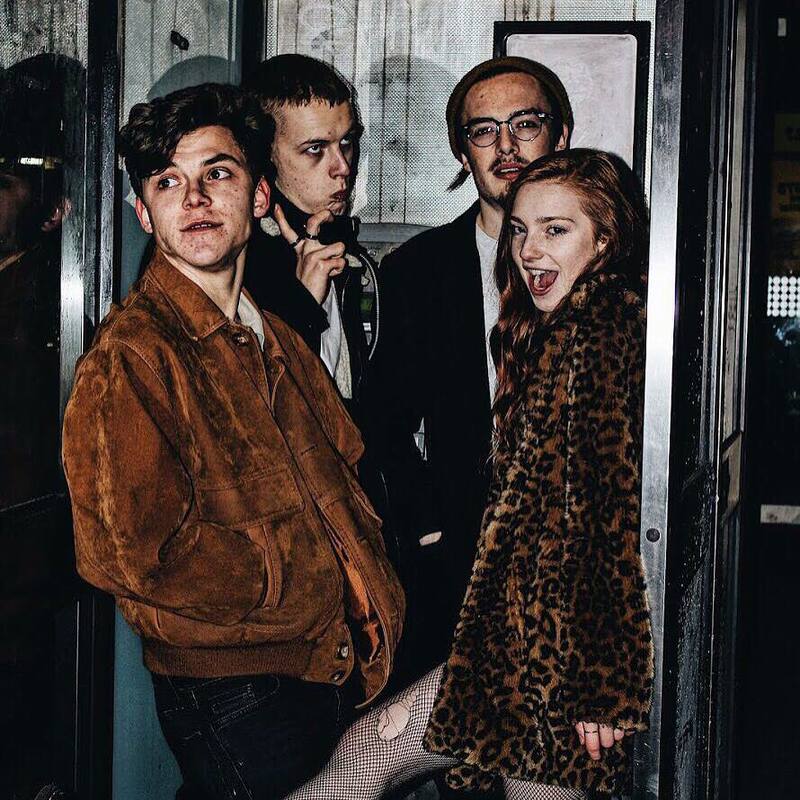 Channeling a lyrical cynicism that touches on young-professionals and provincial clichés, their debut EP Winter Nets, recorded with producer Dave McCracken (Ian Brown, Depeche Mode, Florence + The Machine), serves as a darkly humorous introduction to their weird world. 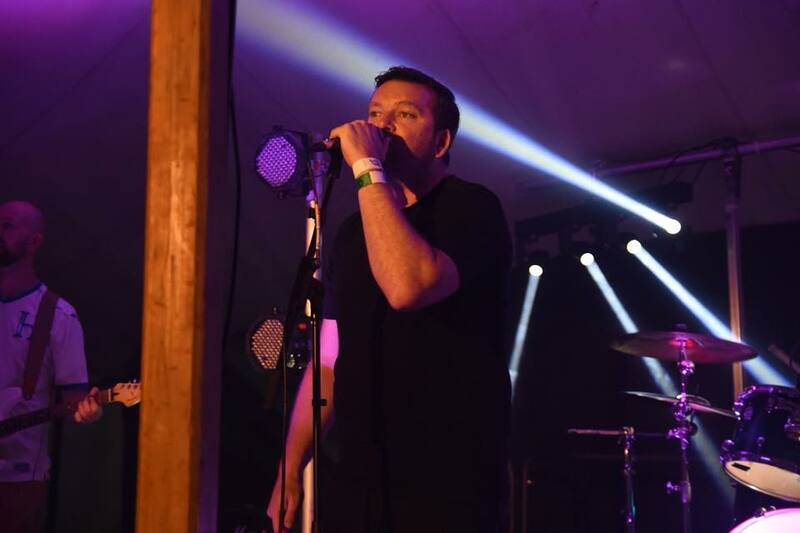 With influences ranging from indie pioneers Pavement, through to 90s post punk also-rans The Family Cat, Sports Team have cut through the ranks of London’s live scene and become one of the country’s most exciting and important discoveries. TICKETS. Held on the 4th Thursday of each month, Folk Open Mic returns to The Donkey. It all kicks off at 8pm, £4 on the door with sports available on the night. Emily and Hazel Askew have become known as two of the foremost performers of English folk music. 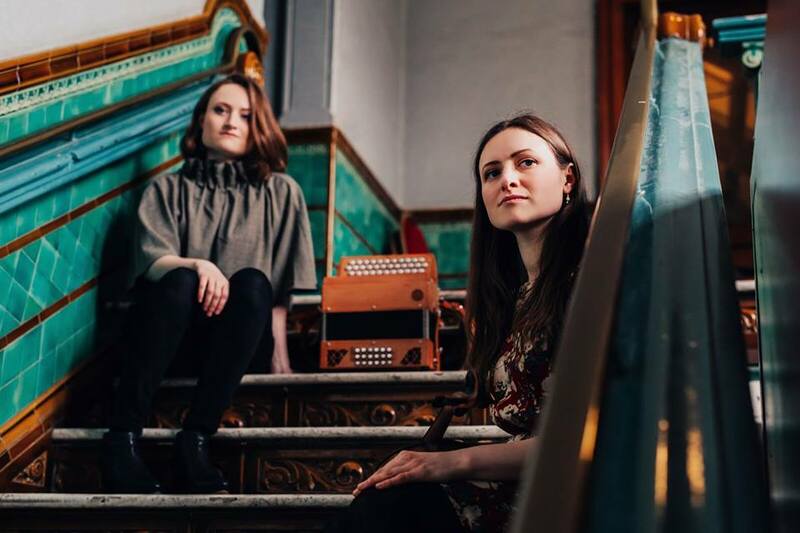 Their live performances brim with the depth and connection not only of two sisters, but also of two musicians who have been immersed in folk music all their lives. They were awarded the Spiral Earth Award for Best Traditional Album for their own album, Air or the Earth, whilst Hazel also won Best Album at the 2017 BBC Radio 2 Folk Awards with her other outfit, Songs of Separation. With a new album out in 2019 it’s a great time to catch the duo in the beautiful surroundings of Guildhall. TICKETS. Packing an alternative rock/grunge sound, No More Heroes are from right here in Leicester. Drawing from their influences in blues, rock and grunge, the band boasts big guitar riffs, loud drums and memorable choruses, sure to entertain. For fans of Biffy Clyro and Royal Blood. TICKETS. 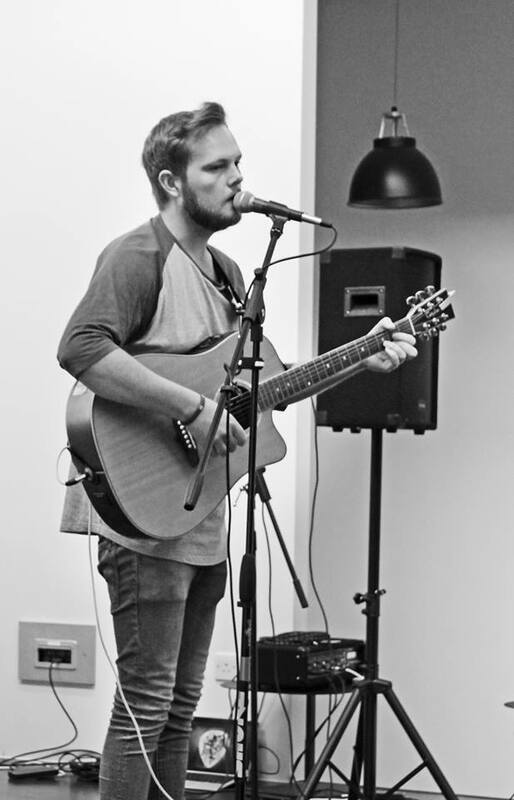 Get your weekend party started with free live music at Queen of Bradgate on Friday night. Expect indie-rock belters with covers from the likes of The Killers, Kings of Leon, Oasis, Paul Weller, Arctic Monkeys, Manics, Stereophonics and loads more! The Zufflers have been busy rehearsing new material so get down to enjoy new covers of The Jam, Foo Fighters and more! FREE ENTRY. 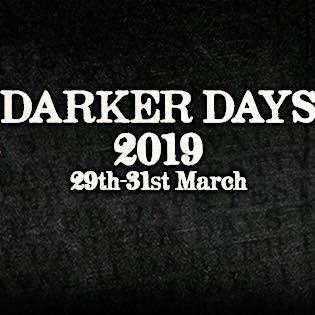 Metal festival, Darker Days, returns to Leicester this weekend at The Musician. This year will be headlined by The House of Usher and Whispering Sons, with further performances from The Last Cry, Last Dusk, IAmTheShadow and more. With the bands coming from across Europe it’s sure to be a great weekend for any metal fans. FULL LISTINGS AND STAGE TIMES. 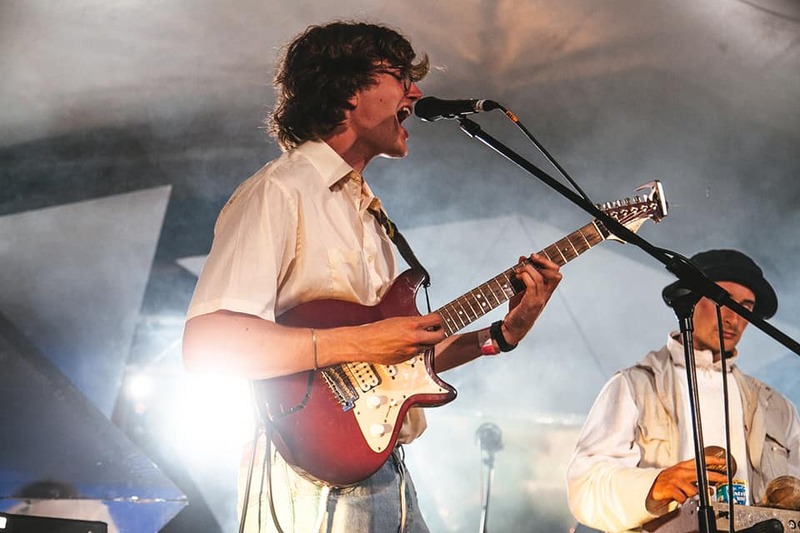 The indie four-piece from Leicester return to The Cookie for a Friday night show. Expect retro inspired rock n roll, with influences from The Beatles to Kasabian and The Who to Crowded House. TICKETS. 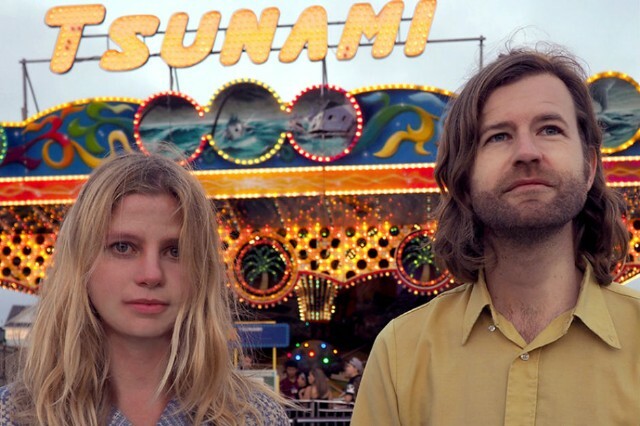 California neo-psychedelic pop outfit Sugar Candy Mountain began as a solo project for Oakland-based musician Will Halsey before his partnership with collaborator, Ash Reiter, yielded a unique sound blending classic ’60s West Coast psychedelia with pastoral folk. They pull inspiration from the likes of the Flaming Lips and Brian Wilson and will be a hit with fans of Tame Impale. TICKETS. 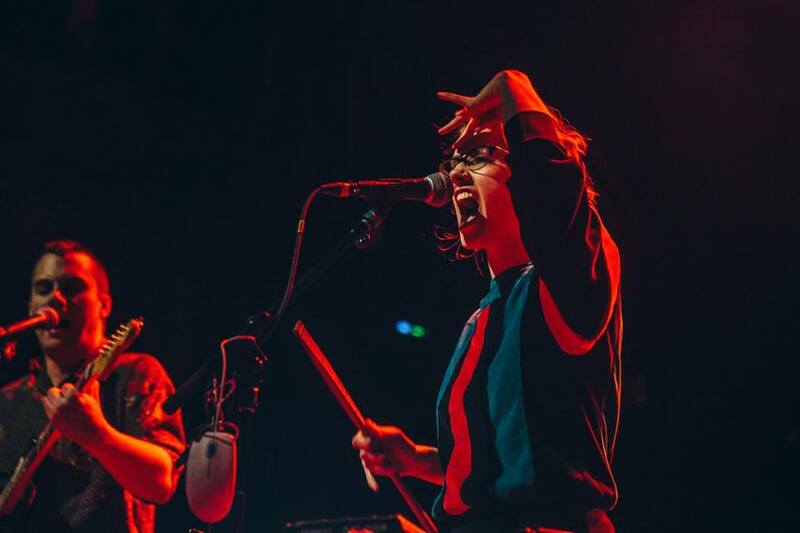 Leicester’s brightest new music stars are everywhere at the moment, so don’t miss out on seeing them at O2 Academy on Saturday 30 March before they head stateside for Coachella. Following the premiere of their new track, Sunday, on Annie Mac’s BBC Radio 1 show last week the band have released a new 6 track EP. The new EP titled Spaceships Mixtapes features new single, Sunday, alongside 5 more brilliant tracks. Head HERE to have a listen before the gig. 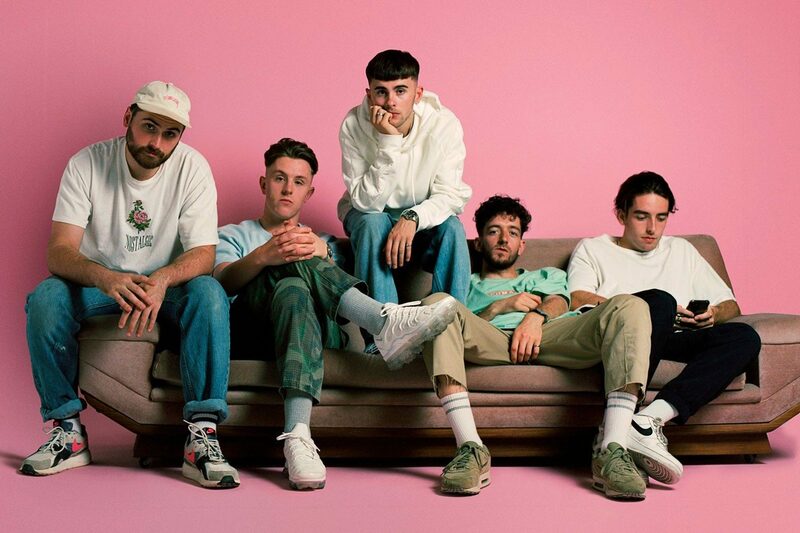 In a year that’s seen them rise from small stages to Jools Holland to Coachella, things are only going to get even bigger for these Leicester lads. LAST REMAINING TICKETS. Leicester’s own gypsy-folk bandits The Whiskey Rebellion will be hosting a night of high-octane music with a rag-tag gathering of some of the best bands on the circuit. Expect 6 high energy bands across 2 stages, for a night of foot stomping fun! 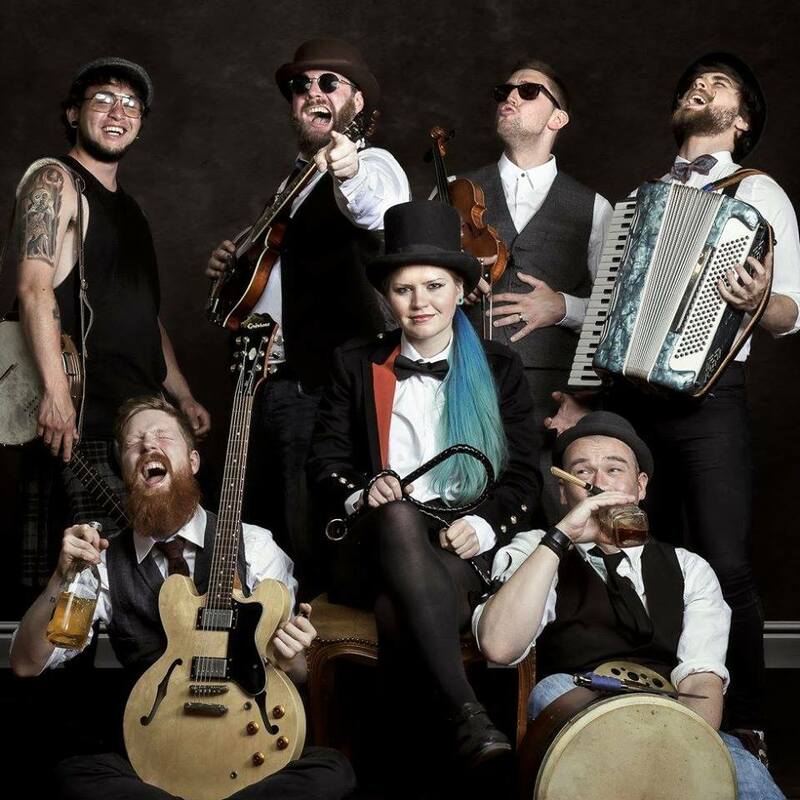 The Whisky Rebellion are so full of gypsy-punk energy that they’ll have everyone dancing! They’re bringing along with them Seas of Mirth, Inlak-esh, Not My Good Arm, Hatstand and Homeless Shakespeare. TICKETS. 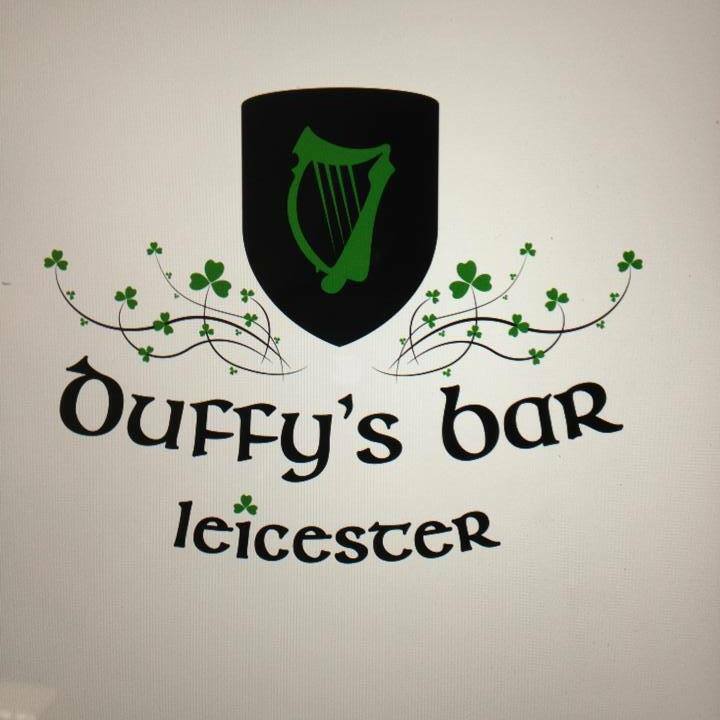 Duffy’s monthly open mic session is back on Sunday night. 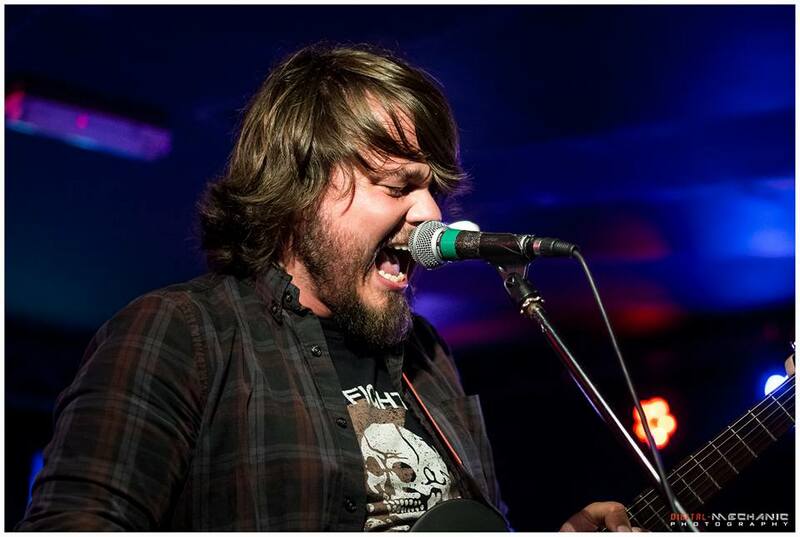 This month’s featured artist is Mike Riley, the frontman of Missing Mile who is best known for weaving his anguished vocals across the percussive telegraph wire of an old Takamine guitar. The night starts at 8pm but you’re recommended to arrive a little earlier to guarantee a playing spot. 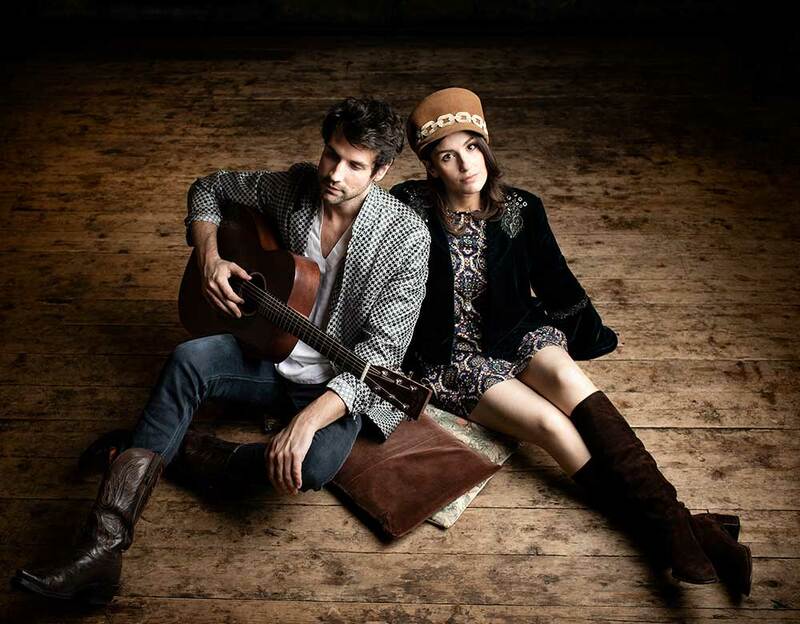 Max and Esmay Luck are an emerging brother and sister indie/Americana duo from London-based brother and sister. They’re bringing a new sound to the table, working acoustic guitar into rich harmonies and haunting melodies. “Bold, striking, blood-harmony fueled Americana music in the vein of their childhood heroes Fleetwood Mac, Tom Petty and The Eagles.” Midnight Mango. TICKETS. 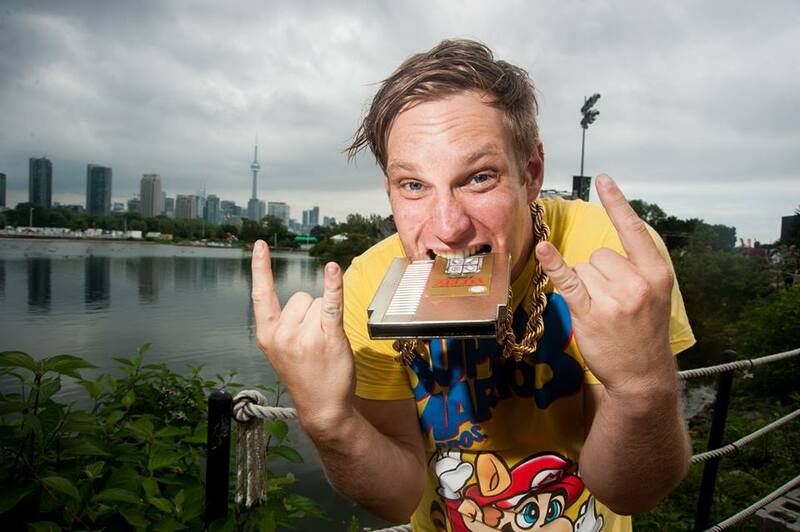 Your favourite laptop-rap and lit-hop star, Mc Lars is back in Leicester for his “THIS GIGANTIC ROBOT KILLS: THE TEN YEAR ANNIVERSARY TOUR”. He’s bringing some top mates over with him from the States too, as Koo Kangaroo & Mega Ran will co headline the show. The most fun you can have on a Wednesday night. 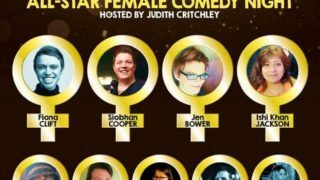 Tickets are priced at £10. TICKETS. The duo have been compared to The Streets with the humour and wit of Ian Dury, John Cooper Clarke and Half Man Half Biscuit. 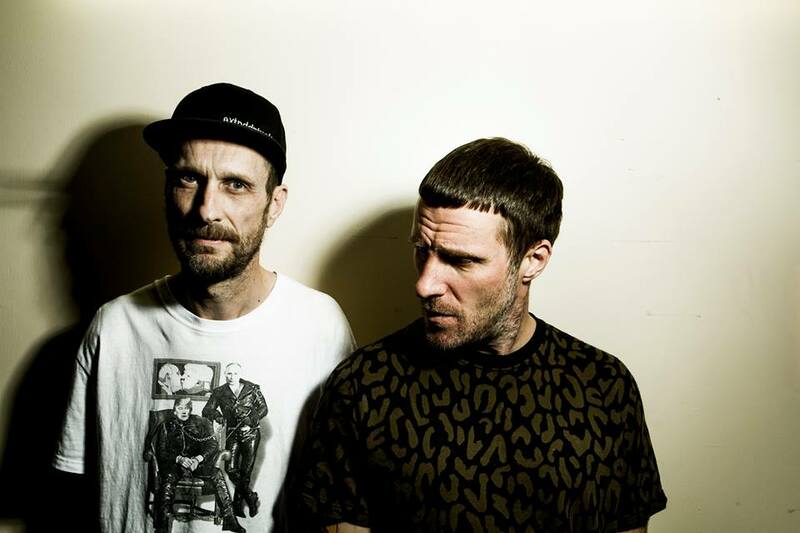 Sleaford Mods “deal in grotty, cheap, abrasive, two-bit punk ferocity” (NME) and are back in Leicester for a Friday night show at O2 Academy. They teamed up with The Prodigy on single, Ibiza, and their new album Eton Alive has had great reviews across the board. TICKETS. 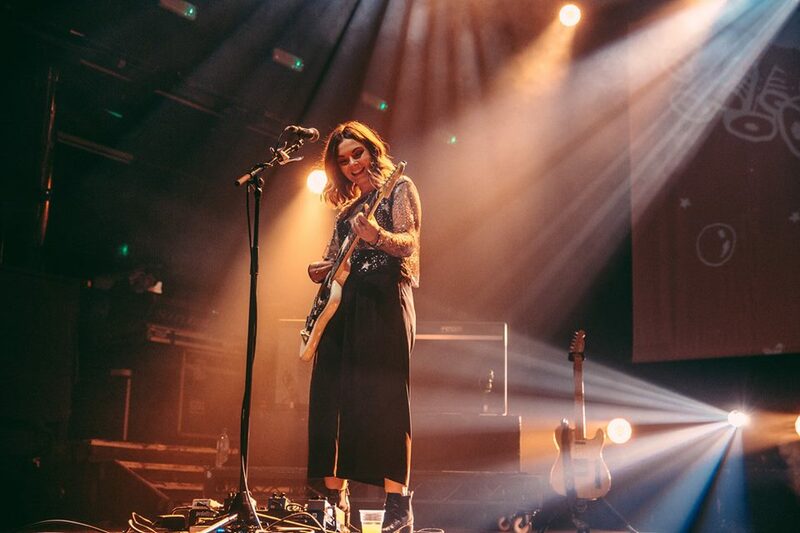 Glaswegian Honeyblood bring a sound that has been described as ‘slacker-grunge-garage-rock’. Now with their upcoming third album we see Stina Tweeddale finding her most ambitious form and steely focus yet. The Scots are heading on tour with an all new full live band and will be coming to Leicester’s O2 Academy on Thursday 2 May. Tickets are on sale now priced at £12.50. TICKETS. PPL PRS is the UK’s music licensing company and the HQ is based right here in Leicester. They ensure writers and performers are rewarded fairly for their music and provide a one stop shop for the public and businesses to obtain a music license. 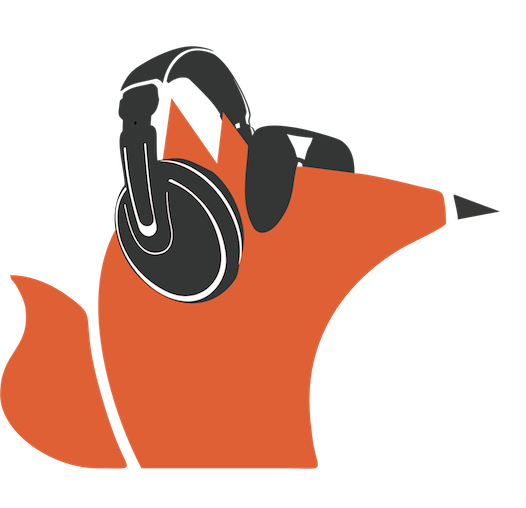 They also sponsor this weekly music feature that we bring to you every week on Cool As Leicester! We caught up with their PR & Communications Manager, Alexandra Burns, to find out more. For those who aren’t familiar who are PPL PRS and what do you do? PPL PRS are the joint venture formed by PPL and PRS for Music. Businesses who play music, be that for their customers or staff, will normally need TheMusicLicence. Historically they would have needed to buy two separate licences, one from PPL and one from PRS. Now, with the launch of the TheMusicLicence in February last year, businesses now only need one licence from us. Playing music in your business can be as much a part of your brand identity as your logo or the products you sell. We want to work with businesses and venues to help build that connection with their customers through their music choices. Being covered by TheMusicLicence, you are showing you not only value your reputation as a business which is compliant and trustworthy, you are also showing you value music. PPL and PRS continue to represent their members, the artists who create the music we all know and love, and the money we collect in via TML goes back to those artists, after our operating costs. We are here to help support the UK music industry, and ensure that it grows and continues to be at the front of the global music scene. By purchasing TheMusicLicence, businesses are helping the likes of grass roots musicians, unknown songwriters and session singers to keep working and creating the music we listen to every day. For musicians, why is it so important that they become a member? We all deserve to be paid for the work we do, the art we create, and musicians are no different. Thanks to the Copyright, Designs and Patents Act 1988, when an artist’s work is used in a public setting, they are entitled to be paid royalties for that usage. Without TheMusicLicence, businesses would potentially have to contact thousands of music rights holders individually for permission to play or perform their music. It’s so important that music artists, be they a songwriter, composer, session musician or band, register with either PPL or PRS for Music, or both, to ensure that their work is recognised, and they receive the payment they so rightly deserve. Not being registered could be the difference between being able to afford to travel to gigs or replace vital equipment you need to continue making music. Becoming a member is simple and really should be a major consideration for anyone involved in creating music. What help and guidance can you offer for those who are new to the industry or music licensing? If you are considering playing music within your business, or perhaps you already do and didn’t realise you need a music licence, we can work with you to ensure you are correctly licensed. Whilst having TheMusicLicence is a legal obligation if you play music in public, we want to make the process as simple as possible to help and encourage businesses to take advantage of the benefits playing music can bring. For example, playlist choices can have an impact on both your customers and staff. Playing relevant music could increase seasonal item spend, for example, summery feel-good music can encourage the impulse purchase of BBQ or garden items. Upbeat, happy music can also help motivate your team at the end of a long day. Whatever the choice of music, we can provide a bespoke quote for the business and have them playing music in no time. Having relocated to Leicester as a company, what do you think of the city’s music scene? One of the reasons Leicester was chosen as the base for the joint venture to be formed was it’s diverse and thriving music scene. Being based in the Cultural Quarter, we are at the heart of the city’s creative pool, and we love supporting local music events, in fact we are working with Handmade Festival to help provide volunteers for the festival in May. 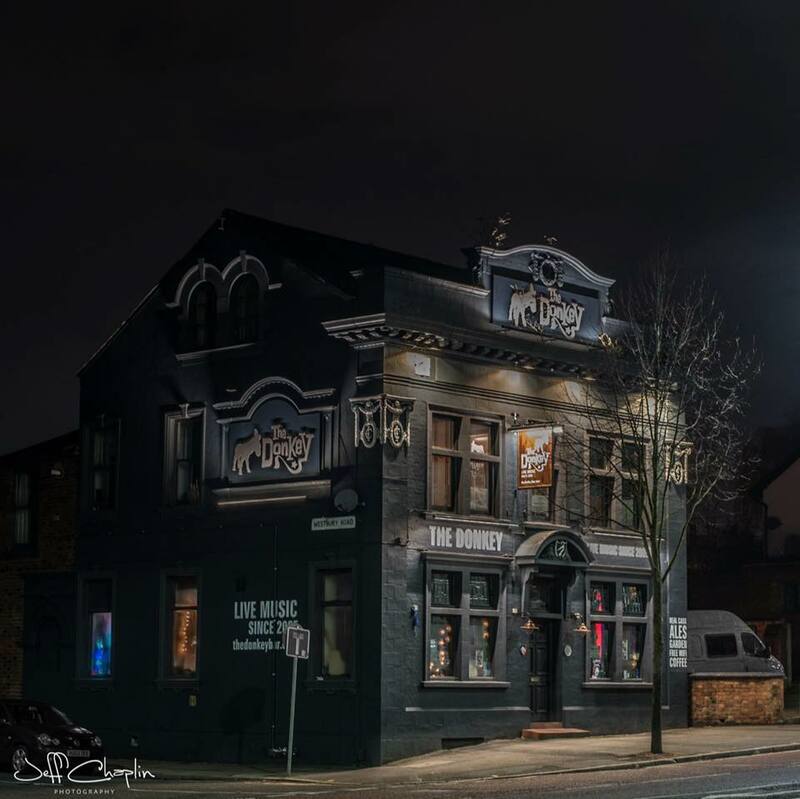 A large proportion of our staff are musicians themselves, some well-known on the Leicester music scene, so we appreciate the value of grass roots venues, the small clubs who work hard to support up and coming artists throughout the city. What other news and events do PPL PRS have coming up? We launched our Music Makeover competition at the end of last year, and for those who don’t know, this competition was open to any business that had a valid music licence, and gave them the opportunity to win up to £5000 in sound equipment, plus a consultation from world-renowned music producer Steve Levine! The competition has now closed, and the judging process is taking place. We are delighted to have BBC Radio Leicester presenter Jimmy Carpenter on the judging panel, and we will be announcing the winner in early April so keep your eyes and ears peeled for updates! We are constantly looking at ways we can engage with local businesses and work with them to host and support events. We are currently sponsoring the Leicester Mercury Start-Up Business of the Year Award, and we were recently involved in DMU’s Cultural Exchanges week, speaking to students about getting paid to play music, and also the importance of music licensing and where the money goes. Our website is constantly being updated with relevant FAQs and information, so we would recommend people look there for initial information. If they do have a more specific question, they can always use our Contact Us form on the website, or of course, get in touch via social media.